Spaces for Change’s Funmilayo Fakeye participated in Nigeria’s first-ever open data clinic held on January 30-31, 2014 in Abuja, Nigeria. The Clinic forms part of a series of initiatives led by the Federal Republic of Nigeria’s Ministry of Communication Technology, the World Bank, the new Code for Nigeria, Hala Nigeria initiatives and global partners to help the country better use technology to drive the national digital and information transformation agenda. The event paired global open data experts from the US and EU with Nigerian media practitioners, web developers, researchers, coders, civil society, and entrepreneurs. 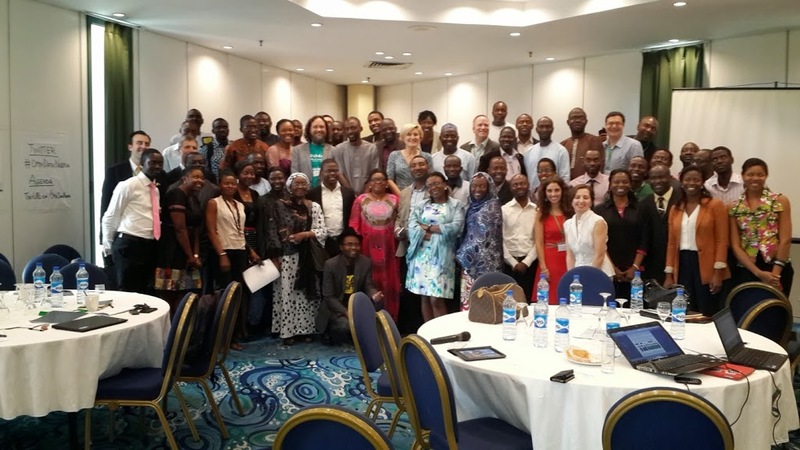 Participants identified priorities, possible pilot projects and other feedback for consideration by Nigeria’s national Open Data Task Force, for integration into the country’s Open Data development roadmap. Key speakers at the event include Oluseun Onigbinde of BudgIT, Babatunde Akpeji, fellow at the International Center for Journalists, Jerelyn Eddings, Africa Director for the International Center for Journalists, Justin Arenstein, chief strategist at Code for Africa and the African Media Initiative, Sandra Moscoso, Open Finance Specialist at the World Bank, Craig Hammer, Program Lead, Global Media Development at the world Bank, Matthew McNaughton, Open Innovation Specialist at the World Bank, Tim Herzog, Jeff Kaplan and Dr. Omenogo Veronica Mejabi from the University of Ilorin. Data is a value of communication that can be used as a basis for reasoning, discovering or calculation and also a collection of facts from which conclusions could be drawn. Open data on the other hand is a piece of data or content that is free for anyone to use, reuse and distribute subject at most to the requirement to attribute or share alike. Some reasons given for the need of open data include the need to demystify information asymmetry and the opportunity to harness the social capital for data improvement and sharing. It must be accessible and free for reuse. It must be comprehensive and useful in its state. It must be in a machine readable format and should be a background layer for further development. It must be accessible in digital form on a free and democratic medium such as the internet. Examples of data-driven portals in Nigeria available at the click of a button on any search engine are on health – Find-a-med; On parliamentary monitoring – Shine Your Eye; On election – Policy NG Polls and on governance – Edo State Data Portal. Spaces for Change together with Media Rights Agenda, AUDAX, Bandwidth Consortium, Open Society Initiative for West Africa Nigerian, Urban Reproductive Health Initiative (NURHI), Fresh and Young Brains Development Initiative, One Life Initiative are among the organizations invited to this steering event of the Nigeria Open Data Clinic.